Vining plants are some of the cheapest and easiest ways to add some beauty and interest to any outdoor space. …but what do you grow them on? Lots of trellises you can buy at big box stores are ridiculously expensive and really not all that interesting either. What you CAN do is find some discarded junk that can be salvaged and reused as a trellis on which to grow beautiful flowering vines. A piece of chain link fencing, like the one pictured, fits the bill PERFECTLY! I recently snapped the picture of the above trellis while visiting with some friends in beautiful Chattanooga, TN (which is an outdoor activities mecca, by the way). Because of it’s small wires that create a tight diagonal pattern, an old chain link fence is PERFECT for use as a trellis. When considering any item for use as a trellis, always make sure that it’s something on which the vines you’ll be planting can easily attach to. If you want dense coverage, maybe for hiding an unsightly area, choose something that has a tight pattern. If you’d prefer to be able to see through the trellis, consider an item that has a more open design…like bamboo poles laced together in a spacious grid. 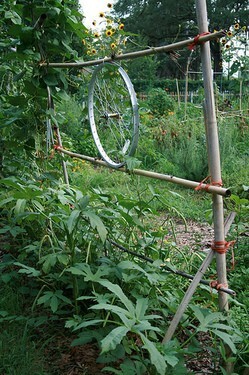 Check out this creative trellis made from bamboo poles and a reclaimed bicycle wheel. Of course building your new trellis is just half of the project…the other half is deciding what to grow on it. My ABSOLUTE FAVORITE website for plant research is Dave’s Garden. Always be sure to plant and grow varities that are native to your area and hardy to your zone. Personally, I prefer mixing vining plants that also flower at different times of the year. For example, I currently have yellow jasmine and a crossvine variety growing over a fountain that I built near my home’s front porch. 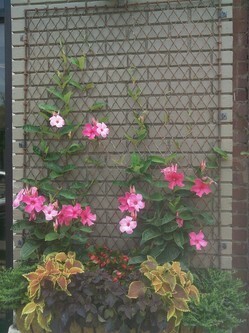 Lots of items you can find in any junk yard or dumpster can work incredibly for use a recycled trellis. 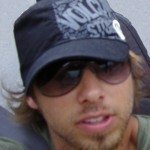 What are some creative things you’ve seen used or could think of using?